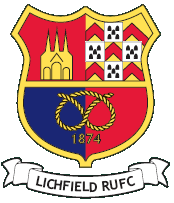 Have you ever thought about how many people visit Lichfield rugby club? During the season over 1,000 people a week see the details of the businesses that choose to advertise on a pitch side board. Stuart Potter is offering these for the 2017/18 season. Once your board has been made up to renew in future seasons costs a lot less, as your graphics and design are already done. You can also get involved by sponsoring a Match day ball; or bringing your customers along for Match day corporate entertainment. If you have a son or daughter who plays at Lichfield, you could also sponsor their age group's playing kit. Please speak to Stuart as he would be happy to talk to you and I am sure he can find an opportunity to suit all sizes of PR budget.